Temperatures are finally rising, yay! As happy as that makes us, it’s also the time of the year our makeup suffers. We get sweaty and sticky, and our makeup can go from done to non-existent in no time. Specially when you have oily skin. So today I am sharing eight ways to make your makeup last all day long. Even in a melting hot and humid day. I am the type that does her make up in the morning and that’s it. I won’t bring anything with me to retouch, except my lipstick. Sometimes I simply forget to bring stuff, but mainly is because I feel retouching makes me feel like I am wearing a mask. Putting stuff over what I already have, makes my makeup heavy and uncomfortable. So I avoid it at all costs. Get your prep in the right order. Moisturizer first, and then primer. The primer will absorb oil and prolong your makeup wear. Don’t over moisturize. This is a no-no! Use a light weigh moisturizer for day time. I recommend an oil-free gel type. I use Cetaphil moisturizer. Is light and silky-smooth. It also helps protect against UVA and UVB rays that can cause wrinkles. Found at any local drugstore. Tone it down. Once you layer your skin with moisturizer and primer, press a single layer of a two ply tissue to remove the excess. This helps believe me. Think oil-free all over. Apply the oil-free mentality to your make up as well. Stick to an oil-free foundation. Also, apply your foundation before concealer. This will allow for the best coverage and long lasting wear. Powder up. The areas that needs more attention is the t-zone; forehead, and the bridge of your nose. Use a light weigh, or translucent powder, to set the t-zone. As well as, over the areas you applied concealer. Keep it light. I would even recommend skipping your cheek bones to maintain your own natural glow . Blot in the afternoon. If you have oily skin, always stash bloating papers, or even tissues, in your purse. You know you need to remove some of the excess oil mid day. Specially that t-zone. It’s oil city! Exfoliate! Try to exfoliate once a week. This will keep your skin radiant, and foundations will lay down smoother on your skin. Use brushes, not fingers. Our fingers contain oil. So remembering the oil-free mentality and use a brush when applying your foundation. Or use my favorite, a beauty blender. I hope these steps will help you to keep your makeup on all day long. 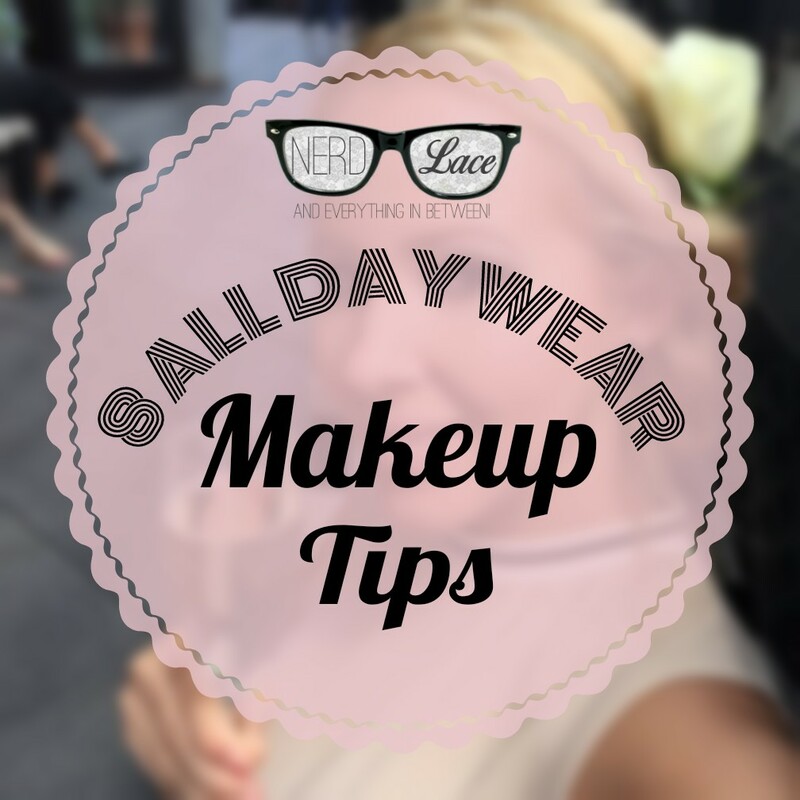 Keep calm and wear your makeup all day long! wow great tips! I’ll definitely be trying these out! Thanks so much for stopping by. We hope they help!